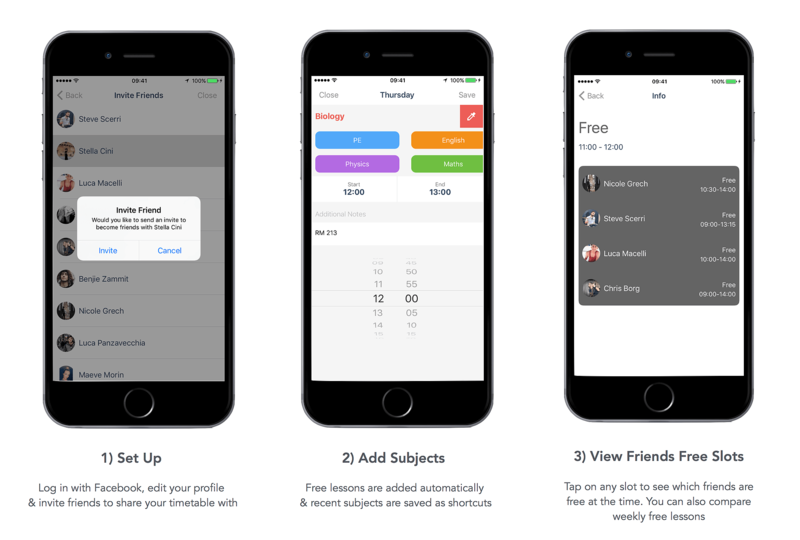 With easy adding of subjects, automatically created free slots and a simple swipe weekly interface, FreeHour is the go to timetable app for all college and university students. Quick Facebook Sign Up – Log in with Facebook and choose which friends who have FreeHour to share your timetable with. Meeting on Campus – View who is sharing a free slot with you and meet up on campus. You can even see who’s free to meet during an ongoing lesson. Plan ahead – use FreeHour to get a list of all the free lessons you and a friend share for the entire week. Go offline, whenever you want – Turn off your shared timetable and use FreeHour as a standard timetable app with a flick of a switch. FreeHour has been designed to be simple, quick, clean and with students in mind. What are you waiting for? Get started now by downloading the App for FREE for iOS and Android! Stay tuned…There are more updates coming soon!